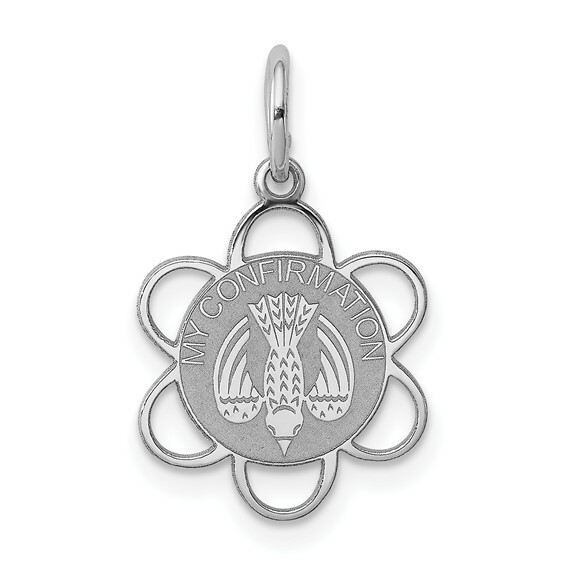 Sterling silver My Confirmation disc charm. Item size: 1/2 inch tall by 1/2 inch wide without bail. This item is half the size of a quarter. Weight: 0.5 grams. This was the perfect gift for my granddaughters charm bracelet.